There’s a time for the diaphanous neckerchief, but winter is not one of them. 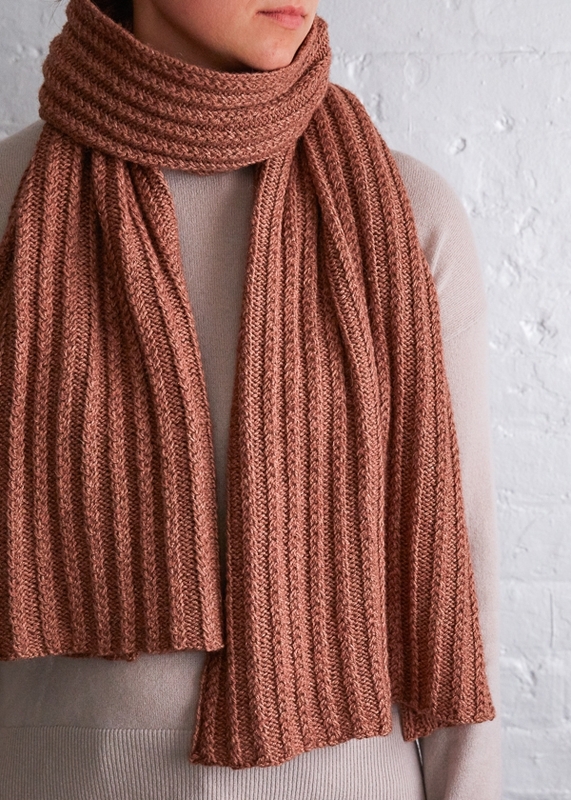 For winter’s trials and tribulations, there is the more-than-a-foot wide Braided Rib Wrap, long enough to loop around your neck a couple of times, or drape around your body like the cocoon you want to be in when the mercury drops. Our Braided Rib Wrap is knit up in our new Understory, a 50% baby alpaca, 25% baby yak, 25% silk blend that we find so infatuating for its beautiful depth and, of course, its coziness. In the color Pink Earth, the whole things just exudes warmth! The Braided Ribbing Stitch is a cable stitch that you work right on the needles (so put away that cable stitch holder), and we have a new video tutorial that shows you exactly how to do it. But that’s not what you’ll be thinking about when your Wrap is draped around your neck. No, you’ll just be glad you made it. Up close, you can see just how you make the Braided Rib Wrap: hearty ribs are created by alternating delicately entwined cables with a couple of reverse stockinette stitches. It’s surprisingly intricate looking but not at all complicated. And did we already mention how warm you’ll be? 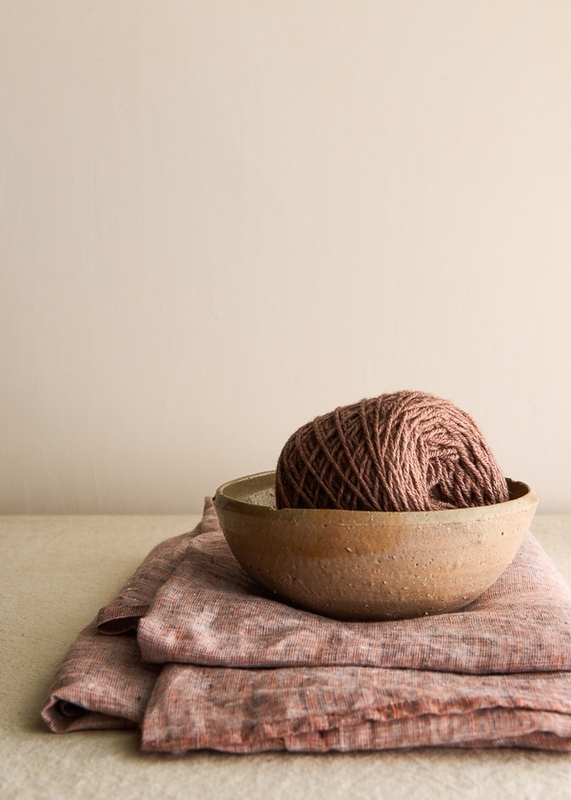 This project designed for Purl Soho by Laura Ferguson. 4 skeins of Purl Soho’s Understory, 50% baby alpaca, 25% baby yak, and 25% silk. We used the color Pink Earth. To make your Wrap a different width, cast on any multiple of 5 + 2 stitches. Row 1 (right side): P2, *k1, insert needle from back to front between 1st and 2 nd stitch on left-hand needle and knit the 2nd stitch, then knit the 1st stitch and let both stitches drop off the left-hand needle, p2, repeat from * to end of row. Row 2 (wrong side): K2, *p1, skip the 1st stitch and purl the 2nd stitch on the left-hand needle, then purl the skipped stitch and let both stitches drop off the left-hand needle, k2, repeat from * to end of row. Repeat Rows 1 and 2 until piece measures approximately 66 inches, ending with a right-side row. K2, bind off 1, *p1, bind off 1, skip the 1st stitch and purl the 2nd stitch on the left-hand needle, bind off 1, then purl the skipped stitch and let both stitches drop off the left-hand needle, bind off 1, [k1, bind off 1] two times, repeat from * to end of row. This bind off is demonstrated in our Braided Ribbing Tutorial, simply skip ahead to 2:53 minutes. Weave in ends and block as desired. 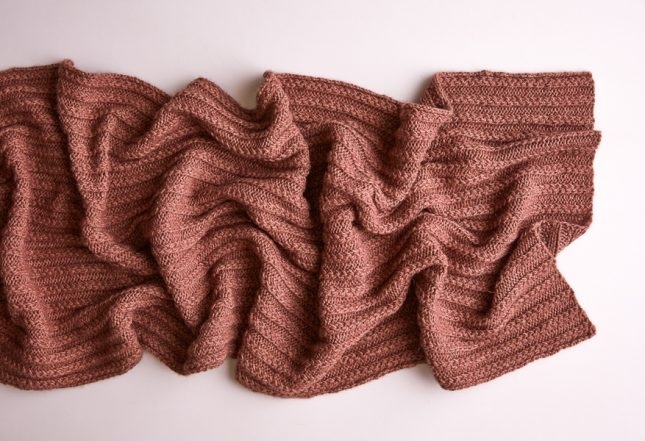 I love this pattern, thank you, and love the yarn but don’t feel I can afford this right now. Might you suggest another similar weight yarn that could be substituted? Many thanks! Thanks for writing in and for your kind words! We totally understand that sometimes our yarn suggestions are more of an inspiration than a reality for many people. We are always happy to recommend less expensive (but still beautiful!) alternatives. In this case, we suggest that you try our Flax Down. If you would like to try another yarn, you should be on the look out for a yarn with a gauge of 4.75 – 5.25 stitches per inch. Your description of your “Understory” yarn is making me giggle. You say the yarn and pattern are warm and cozy which they surely must be the yarn consists of 125% of total content: 50% alpaca, 50% yak, and 25% silk. I only wish I could afford some as it sounds impossibly luxurious. This is a beautiful pattern but looking at the instructions, it looks very painstaking and time consuming–more so than a straight stockinette stitch–is this so? Thanks for writing in and for the kind words! While this pattern does require more attention than stockinette or garter, once you get the hang of the stitch pattern, you’ll be able to knit this lovely wrap with ease. I always like to use a gauge swatch as way to try out new stitch patterns or techniques. Then I get the hang of it on a small scale that gives me the confidence to try the full scale project! I love your patterns. They are always elegant and timeless. I agree with Betty and look forward each of your new emails. Thank you for this pattern using your new yarn, Understory. Although this pattern doesn’t use the Thorn Stitch, it looks just as beautiful. Now I definitely have an incentive to complete my present project. Just wish I could knit faster! Lovely pattern. I have some alpaca/merino that I am going to try with this pattern. Thank you for sharing. Thanks for the question! 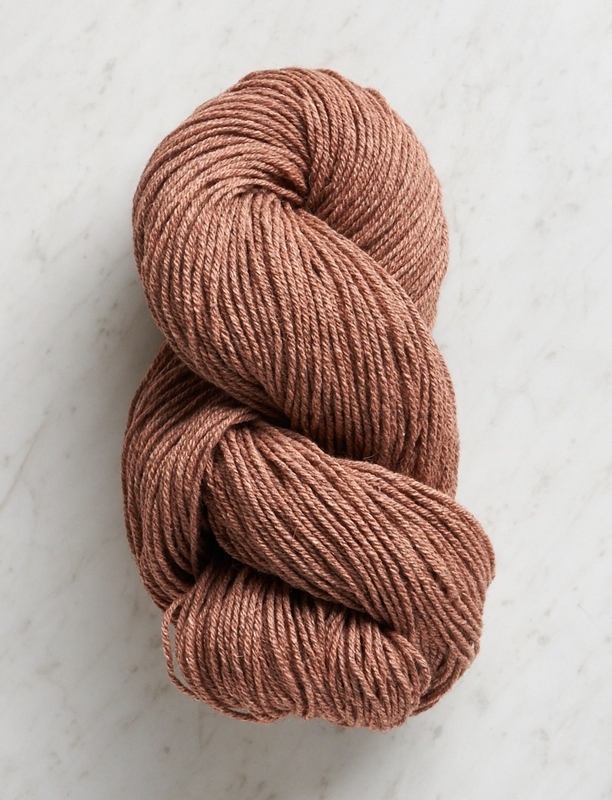 Understory has 250 yards per 100 gram skein. 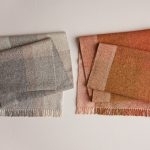 To find more information about this and all of our yarns, you can click on the Product Details tab on the product page. Here you will find yardage, gauge, washing instructions and more! Love this pattern! 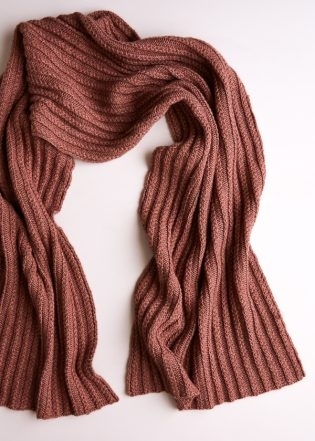 How would you recommend turning it into a cowl instead of a scarf? Especially with the ribs vertical? Thanks for writing in! At present, this pattern is only written to be knit flat. I will certainly pass your request on. In the meantime, you could certainly knit this flat and seem it up on the short ends to create a cowl! 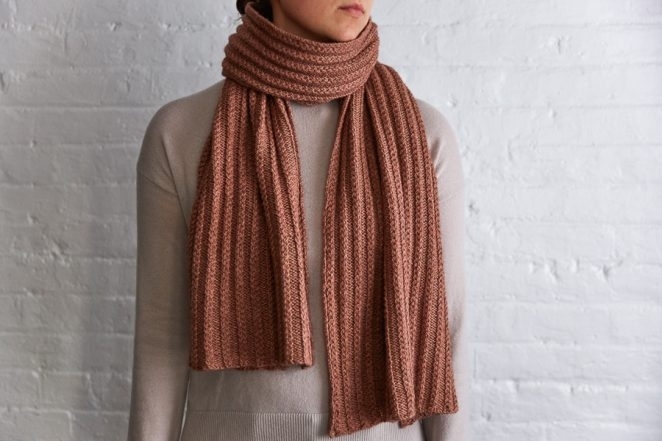 I also would love to knit this as a cowl but since it had to be worked flat would you still suggest a co of 102? Another gorgeous creation! Thank you, I can’t wait to try Understory.My happiness cup has run over and is now galloping down the street! I’m a big fan of your mistake rib scarf. How does this scarf lay/wrap compared to mistake rib? 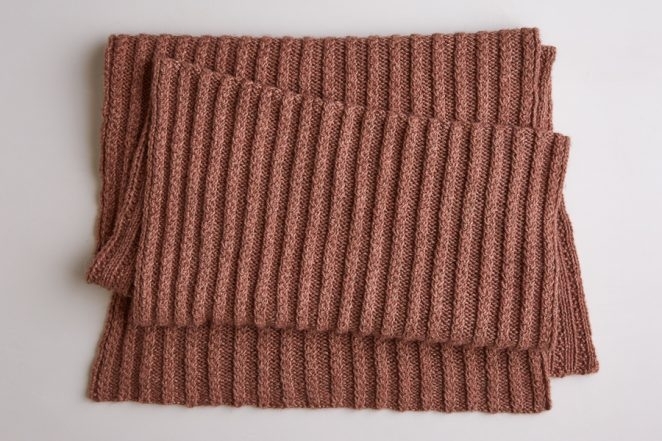 It looks like both kinds of”ribs” on this scarf stay in place, whereas the mistake ribs sort of shrink/compress together when not being worn. Is that right? Thanks for writing in! I would say that this stitch pattern sits quite a bit flatter than the mistake rib pattern as the rib here is made up of a small cable. You have it spot on that the mistake rib will contract in and this pattern will lay flatter. Love this pattern. I always lose scarfs so I prefer to wear cowls. I see the repeat is 5 plus 2 stitches, would that apply to knitting in the round also? I’m a beginner knitter and just started using circular needles, they are easier for me to use. Thanks for writing in and for your kind words! At present, this pattern is only written to be knit flat. You can certainly knit this lovely wrap flat and seem it up on the short ends to make a cowl. I will certainly pass your request along! So so beautiful! I love your patterns so much and want to knit them all! You outdo yourself every time. Thank you for making them free. Thanks for writing in and we won’t forget about our Southern Hemisphere friends! Thank you for your kind words and happy summer knitting! I’d like to make a seamless cowl using that pattern. How would I work that stitch in the round? Thanks for writing in! At present, this pattern is only available as a flat pattern. You could try to give it a go by reversing the stitches on row 2 when working in the round. We will certainly keep your request in mind for the future! 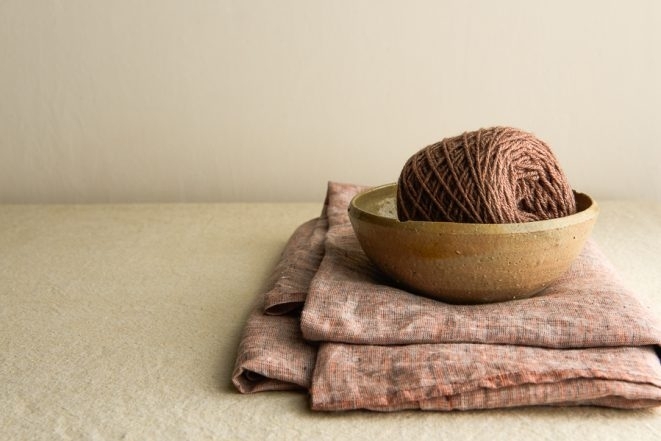 BTW…Purl Soho patterns are my favorite. They aren’t overly complicated. I’m going to try my best to make it to your shop today for the “open knitting”. Thanks for the kind words! We look forward to meeting you in the shop! I love the pattern. Thank you. The video shows clearly the pattern and the special bind off. What cast on was used for this wrap? Great question! For our patterns, unless otherwise noted, we use the long tail cast on. We like the long tail because we think that it makes a neat and flexible edge! This is a lovely pattern. If I prefer a narrower scarf how much yardage (not skeins) would I need for a scarf anywhere from 6 to 8 inches wide and about 70 long? Thanks for writing in! For a scarf of about 6-8 inches wide and 70 inches long, I think that 2 skeins would work for you! this pattern and yarn was the perfect travel project for my recent Europe trip – beautiful yarn, easy pattern to knit on the plane, and great customer service. I’m so happy to hear this project joined you on your Europe trip- thank you for all of your kind words! Understory is exquisite yarn, a joy to work. Best of all, because 75% of it is in wonderful baby yak and baby alpaca , the natural feel of the wool has been protected, enhanced by 25% silk. And the smell is a hint of clean hayloft, not chemicals – just wonderful. Working the braided design gives one a feeling that must be like woodworking – the tactile satisfaction of actually feeling yourself make something with physical properties. Thank you so much for your kind words! We are so glad that you love the yarn and are enjoying the project! I love your patterns and tutorials. However, I am left handed and really struggle figuring out how to do new stitches in reverse. 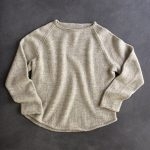 Do you know of any good resources for finding tutorials for a stitch like this for lefties? Thanks! Thanks for writing in and for your kind words! When referring to knitting “left-handed”, do you mean knitting while holding the yarn in your left hand? If so, that’s usually referred to as Continental style knitting and you can follow the same instructions in our tutorial but keep in mind that your yarn in just held in a different hand. Your stitches should look the same (I knit Continental as well). 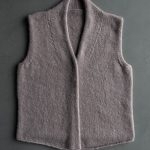 If you knit using the left needle work stitches off of the right needle, this is generally referred to as Mirror Image Knitting or Backwards knitting. This is a bit more complicated and generally requires reworking of most patterns. I am not aware of good resources out there for those who knit mirror image. I did do a quick search on the internet and found mostly information saying that you will need to reverse your pattern but nothing more specific. Love the look of this pattern. Is it reversible or could it be adapted to be reversible? Thanks for writing in! While the two sides of this lovely wrap are different, I would say that the both sides look lovely and thus will work as a reversible pattern. You will only see the braided rib on one side and the other will appear as a rib. The final image above shows both sides laid out one next to the other so that you can get an idea of what they will both look like! Oh, yes. Now I see that. Thanks so much. Lovely pattern. Will knit a scarf with this pattern. I was studying new pattern . And reading comments on this scarf. It is such a great pattern. Last yr my plan was to do poncho in a cream soon realized I had not allowed for the rib effect so it became a prayer shawl. Atfirstthe pattern seemed difficult but as in the case of a new technique it suddenly was very easy and did not need a pattern. It truly makes a great pattern and once again I am using it ina darker yarn where a pattern would not normally show up. Bravo. Also understory is such a nice yarn so soft. So appreciate the patterns. A very nice pattern but I found it difficult to execute the Row 1 original instructions “insert needle from back to front between 1st and 2 nd stitch on left-hand needle and knit the 2nd stitch, then knit the 1st stitch and let both stitches drop off the left-hand needle” steps. That insert front to back and knit the 2nd stitch gave me all kinds of problems. I found that the original instruction for the 2nd stitch is twisting the stitch knit-wise and executing a knit TBL all in one step. So I found a couple of alternative, but easier, ways to achieve the same appearance. Alternative 1: “slip 1st stitch purl-wise, slip 2nd stitch knit-wise, return both stitches to the left needle, knit 2nd stitch TBL, then knit the 1st stitch and let both stitches drop off the left-hand needle”. 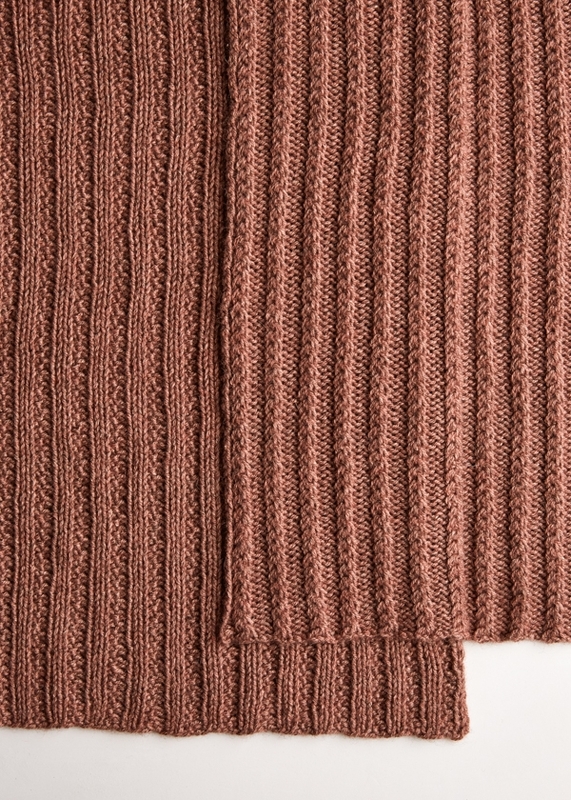 Alternative 2: “knit 2nd stitch TBL, then knit the 1st stitch and let both stitches drop off the left-hand needle”. Alternative 1 is what the designer intended and even though it’s slower, I just found it easier to do. Alternative 2 is quicker because you don’t have to do the slips and seems to give the same appearance even though the 2nd stitch isn’t twisted before the TBL is done. Look forward to any comments the original designer or anyone else may have. Thanks. Thank you so much for sharing your ideas on how to work this stitch! I hope your suggestions are helpful to anyone else who is running into difficulties!